Here are some techniques you can try at home when your baby is crying inconsolably. Try them all! With patience and practice you’ll get to know which work for your baby. Swaddle your baby. Wrap your baby snugly in a blanket to help him feel more secure. Try using a baby carrier or sling. Some babies love being close to mom or dad all day! Walking around might sooth him. Hold your baby in different ways. As long as your baby is safe, there is no wrong or right way to carry him. Try different positions like having him facing forward, over your shoulder or close to your chest. Lay your baby across your forearm, tummy down, with your hand supporting his chest. Lay your baby tummy-down across your lap or on a soft surface and gently rub his back. Try different movements. Some babies like gentle swaying movements while other like faster swinging or rocking. Use soothing sounds. Background noise can be soothing, try having a fan or humidifier on in your baby’s room. Sing or talk softly to him. Reduce stimulation. In other cases, less stimulation means less crying. Lower the lights, reduce noise, and other sensations like textures for your baby. Remain calm. Caring for a crying baby can be very stressful, especially considering you actually have a hormonal response that makes you feel uncomfortable when your baby cries. If you take the time to calm yourself, it helps your baby calm down too. All babies cry, but some do it significantly more than others. 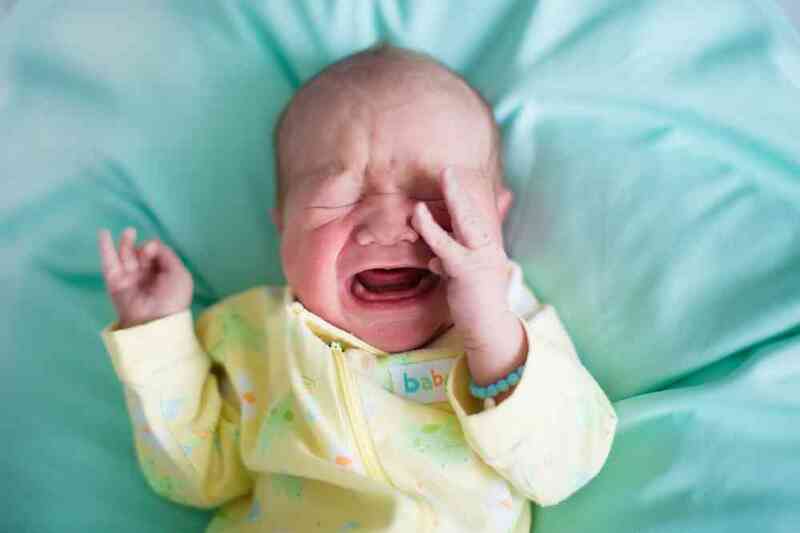 This is known as colic, and it is crying that begins and ends for no clear reason, lasts at least three hours a day and happens at least three times a week for a period of 1 – 3 months.